I don't think I've even done a WIP post on this blanket, it just seems to have come together so quickly. Especially seeing as I took about five days off to do a couple of cowls and then went away at the weekend and did some knitting. 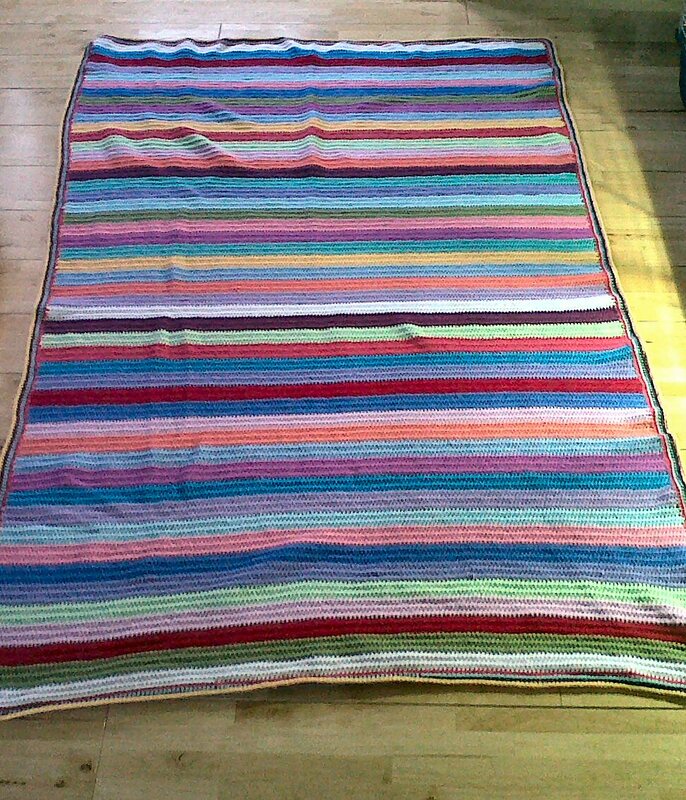 This blanket has taken me 25 days, three days quicker than the last one. Not bad considering I do actually have a job! I knit this whilst watching the remainder of Buffy the Vampire Slayer, I've been reliving my youth. I started it whilst crocheting the grey blanket and finished it on the same day I finished this blanket. 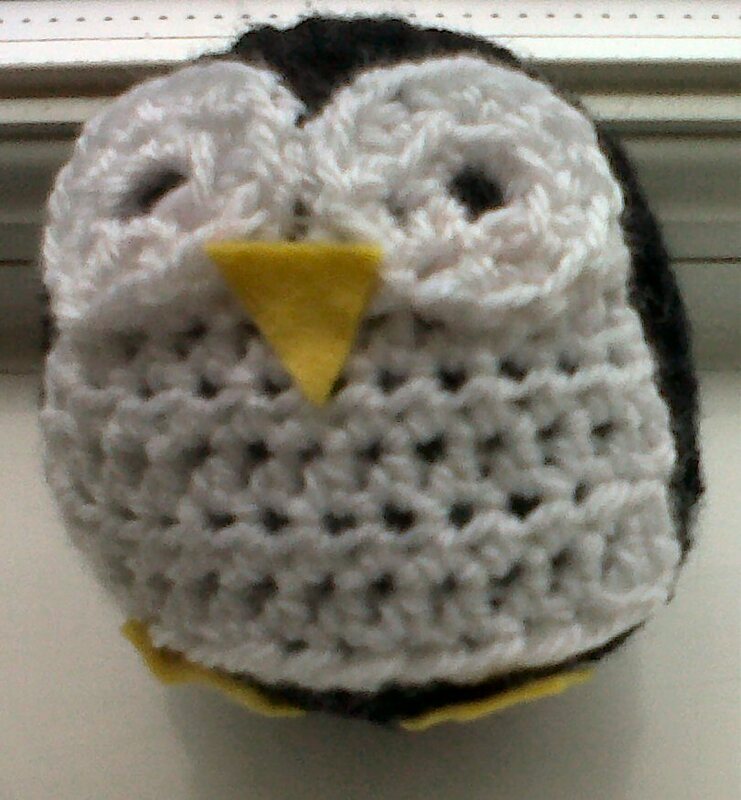 I did this in exactly the same way as the last blanket, although this was more fun to crochet. The colours each only repeated three times within the blanket so it was more exciting seeing which colour was coming next. Towards the end of the grey blanket I was very bored of the colours but this was much more fun. I love the bit towards the end of the blanket where it's big enough to drape over yourself and use it to keep warm as you crochet. That's been very handy the last few days as the weather has been so cold.